The poetic Carnival that took place on Wednesday was a cultural flood that brought together 115 poets from 51 different countries and tourists who also enjoyed the event. Performances and folkloric dances were part of the colorful list that symbolically buried “the violence of time and the violence against women”. The poets stopped on every corner to get on a rolling balcony, a sort of poet-mobile, to recite verses in a variety of languages. 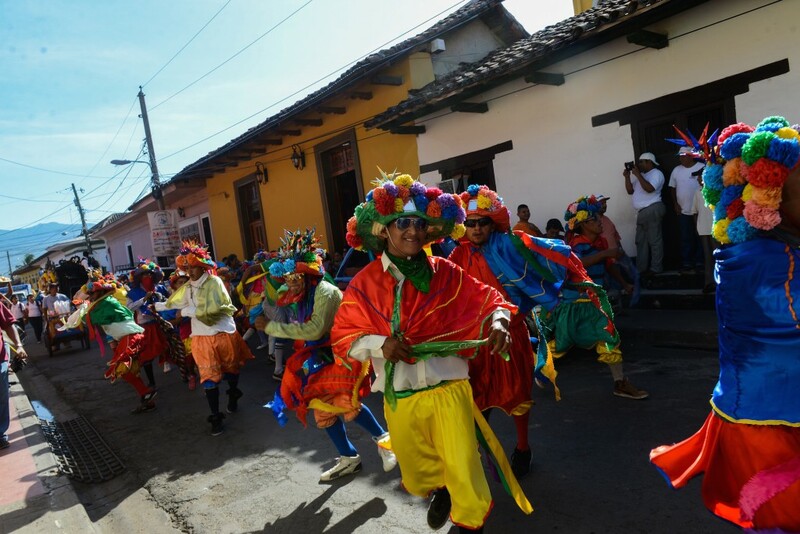 Meanwhile, the rejoicing caused by the “Diablitos” from Nandaime, the Agüizotes from Masaya, and the “Chinegros” from Nindirí (all folkloric dances) spread through the public that paraded along and came from La Merced church, followed on Calle Xalteva to Calle El Caimito, La Sirena and then La Calzada, to end on Granada’s Malecón. The poets, who were dancing when they weren’t reciting, were approached by many students who were requesting autographs and pictures. Granada’s population enjoyed the parade from their colonial homes. Follow the Festival’s coverage on our Blog.